Well, so much for a daily post, eh? I have four bags of clothes that are trash. Three bags are set to go to charity. I took clothes out of storage and sorted through those as well. In the end, I did 14 loads of laundry. I also washed all of my sheets, blankets, towels, and pillow covers. Since I will be gone for a month, I wanted to make sure everything was clean and fresh as I will be having a series of guests once I return from my convalescence and I will not be around to freshen them up later. Cleaning out the closet was at once the easiest thing I’ve ever done and the most difficult. 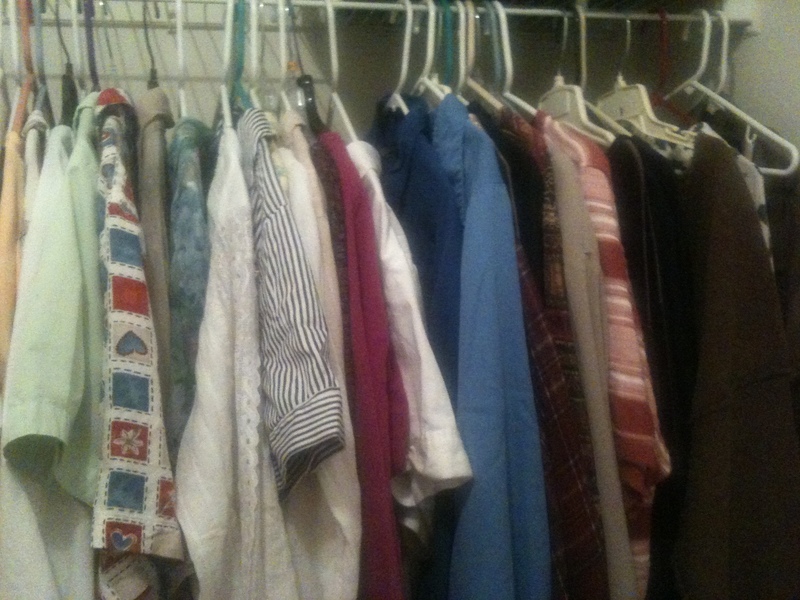 There are clothes that I was anxious to get rid of and other outfits were more difficult. Generally, the difficult ones were clothes I had not worn in a while and that I had some emotional attachment to. They have a lot of grief and regret attached to them which is always problematic. The clothes that I have wanted to get rid of for a very long time I kept because sometimes they were the only ones that fit me. Generally, they were stained, ripped, had holes, worn out, or just ugly. I purchased a few inexpensive shirts, etc this summer to get me through until after the surgery, so throwing away those clothes was easy as pie. After cleaning out the trash, the next step was also easy. I got rid of the clothes that I just hated. 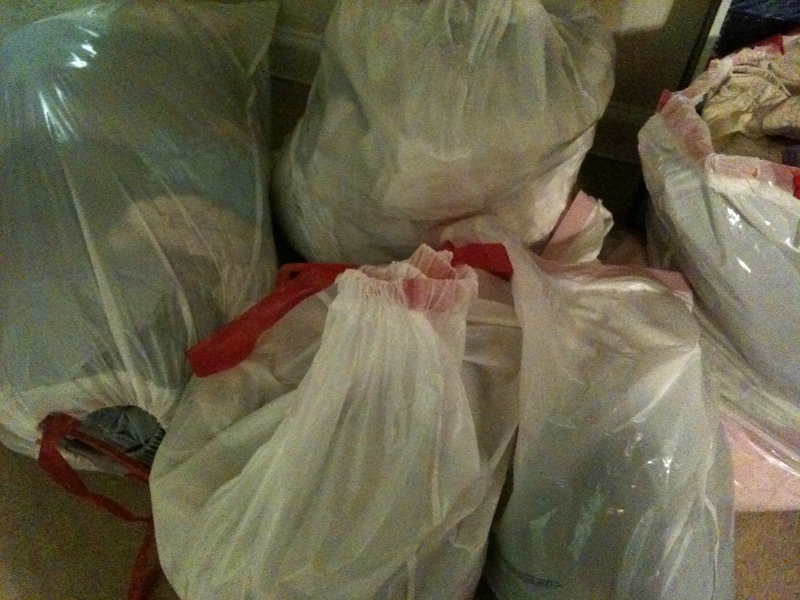 These clothes were in good shape and perfectly wearable, so I put those clothes in bags to give to charity. They may go to good will, or a homeless shelter. I have not decided yet. These clothes were easy to sort through as well. It is easy to get rid of the things you do not like. I found it hardest to get rid of the clothes that I really like whether they fit me or not. I have clothes from size 14-30. Obviously, some of those clothes I plan to keep and wear as I lose weight. It was very difficult for me to sort through these clothes. I have held onto these clothes for years hoping to fit back into them. Some of these clothes I have a lot of emotional attachment to these outfits. I found it very difficult to be judicious in deciding which of these outfits to keep or donate. I think I did a pretty good job. I set some standards for what I decided to keep. I think this formula worked pretty well, especially for some of the outfits in size 16-20. Non-cute and out of fashion clothes are certainly a subjective guideline. That is OK with me. If there is no chance I will wear the outfit even though they may fit, there’s really no reason to wear them. I tried to pay attention to season as well. I have a pair of shorts that is one size too small. Well, it is October now. By the time I am able to wear shorts again, they will most likely be too big. They went into the donation pile. As far as out of fashion, I got rid of clothes that were glaringly out of fashion now. For example, I got rid of all of my flower dresses from 1990, or as my sisters liked to call them, drapes. They will be so pleased. 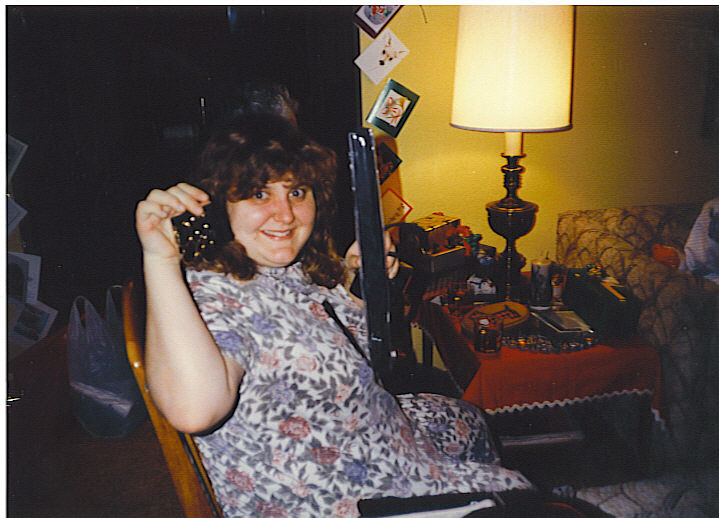 I kept clothes like sweaters, t-shirts, sweatshirts, loose-fitting dresses, anything less than 15 years old that wasn’t glaringly out of fashion, blouses, and anything that I could wear through at least 4 sizes. There was a third category of items which I could not discard. My graduation gown from college. Yes, I still have that. 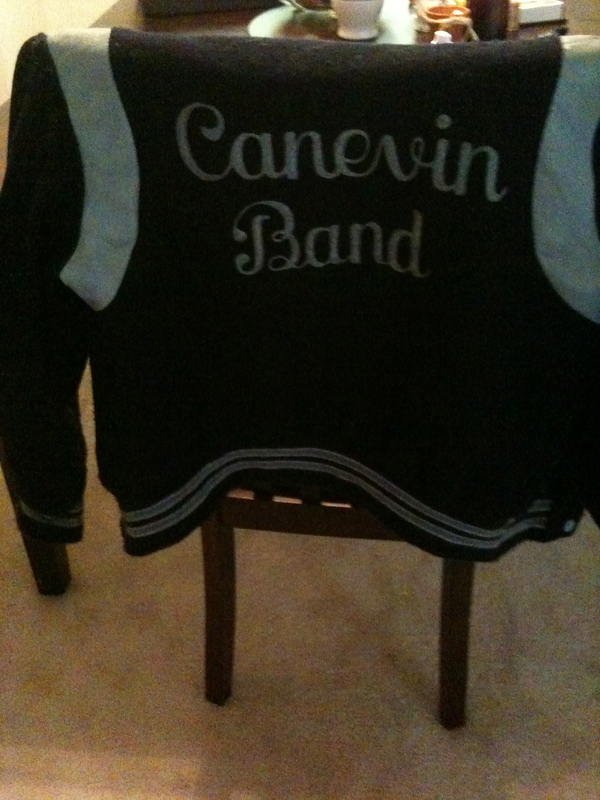 My super-cool high school letter jacket for band. 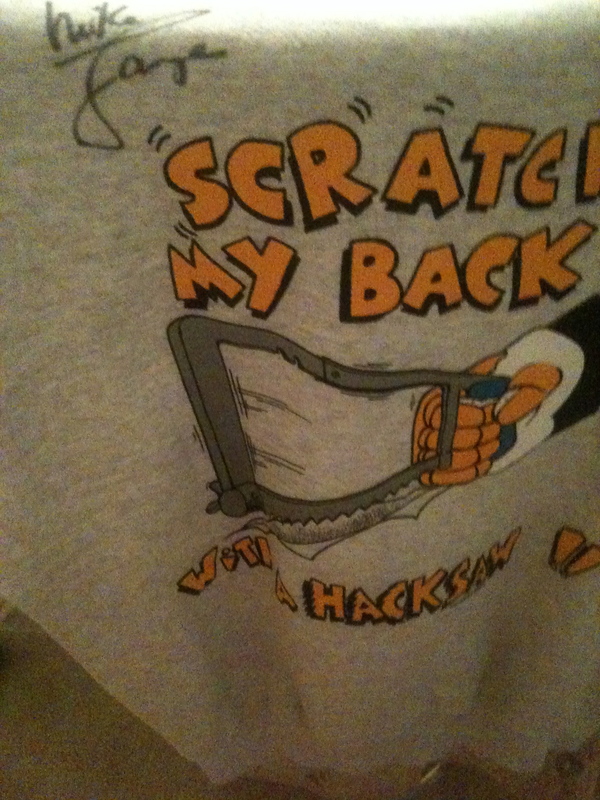 I’ll never wear it again, I cannot get rid of it. The Penguins Hockey sweatshirt signed by one of the team members that my late father gave me. 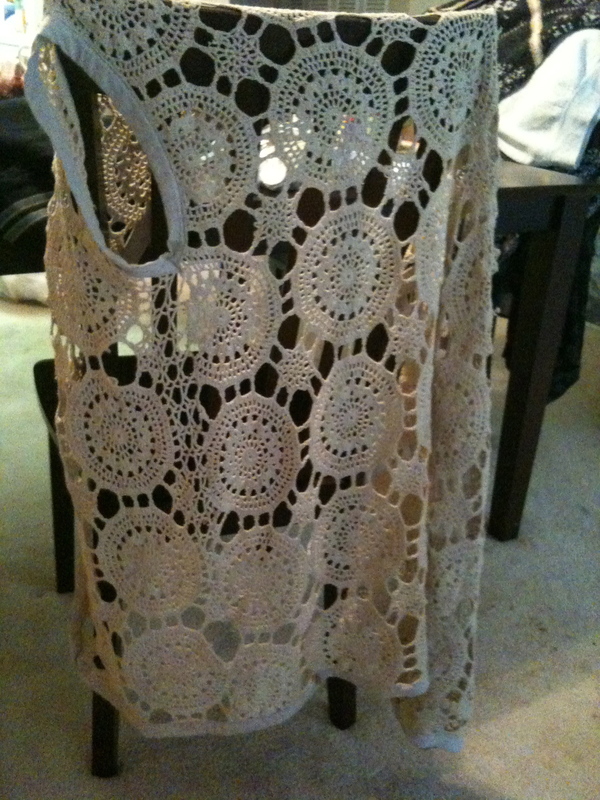 And this groovy crocheted 1960s era hippie vest. Granted, I was two years old in the 1960s, but that vest is just too cool to throw away. Now, I know my sisters would argue that I did not get rid of nearly enough clothes, evidenced by the fact that I still did 14 loads of laundry. But I think I made a lot of progress. As I lose weight and shrink out of my clothes, I will continue getting rid of stuff. This process is far from over. I feel that I am much more prepared than I was on Friday. This entry was posted in fat, gastric by-pass, health, life, lifestyle, skinny, Uncategorized and tagged clothes, diet, fat, fat chick, fat girl, health, life, lifestyle, purge, skinny, skinny girl, skinny girl inside, wardrobe. Bookmark the permalink. Sounds like a lot of work..good for you for having the ambition to do it.